On Sunday (March 29), HBO will air Going Clear: Scientology and the Prison of Belief, a two-hour documentary by Alex Gibney that is based on a 2013 book by journalist Lawrence Wright. 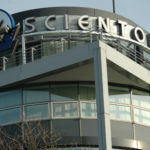 The film, like the book, delves into Scientology’s origins, practices and controversial actions in interviews with Wright and eight former church members. The national airing of the film, which will be shown a dozen times between March 29 and April 17, provides reporters with an opportunity to write about this most controversial American-born religious movement. Is it a religion or a business? A self-help club or a cult? What is the real membership number? What effect — if any — will the documentary have on church activities? How does the documentary differ from the book? Here are some resources to help reporters tackle the subject. Read a March 19, 2015, story in Rolling Stone magazine in which Gibney talks about threats he and former Scientologists featured in the film have received. Read a March 11, 2015, interview with Wright that appeared on Salon.com. Listen to a March 2, 2015, New York Times AirTalk interview with Gibney and Wright, as well as Mike Rinder and Paul Haggis, two former Scientologists featured in the documentary. Read the New York Times’ review of Going Clear, the book, by Michael Kinsey and published on Jan. 17, 2013. Scientology has struck back at Going Clear with a full-page ad in The New York Times and a video rebuking claims in the film. The church took similar action when Wright’s book was published. Read an excerpt of Wright’s book Going Clear: Scientology, Hollywood & the Prison of Belief. And just for fun, watch Stephen Colbert’s 2013 interview with Wright. Jessica Driscoll is director of media relations at HBO and will handle press requests involving the documentary. Contact jessica.driscoll@hbo.com, 212-512-1462. Alex Gibney is an Academy Award-winning filmmaker and the writer and director of the documentary Going Clear: Scientology and the Prison of Belief. He can be contacted through Jessica Driscoll at HBO or through Jigsaw Productions, 212-352-3010. Lawrence Wright is a staff writer at The New Yorker and author of nine books, many with strong religion components, including The Looming Tower: Al-Qaeda and the Road to 9/11, which won the Pulitzer Prize. He wrote the book on which the documentary Going Clear is based and appears in the film. Wright can be reached through Jessica Driscoll at HBO or Kim Thornton at Random House Publishing, kthornton@randomhouse.com, 212-572-2299.